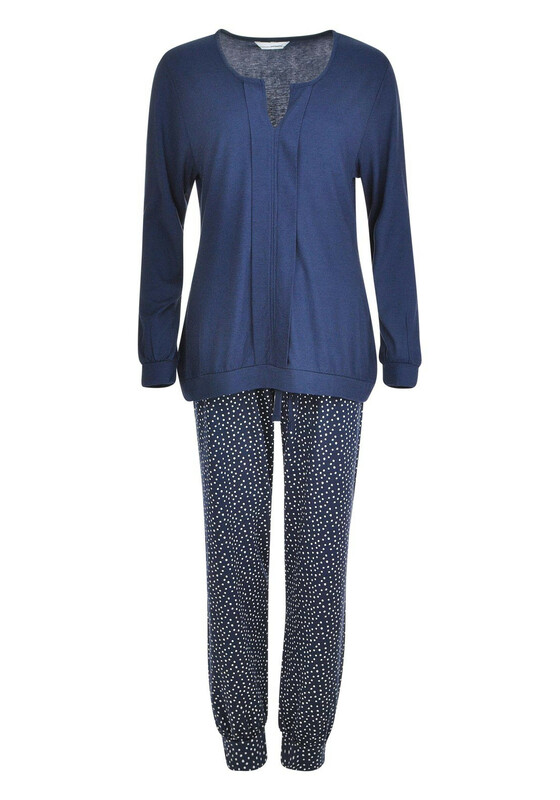 You will love this Pastunette pyjama set in navy. It is made from modal material which is soft and natural. 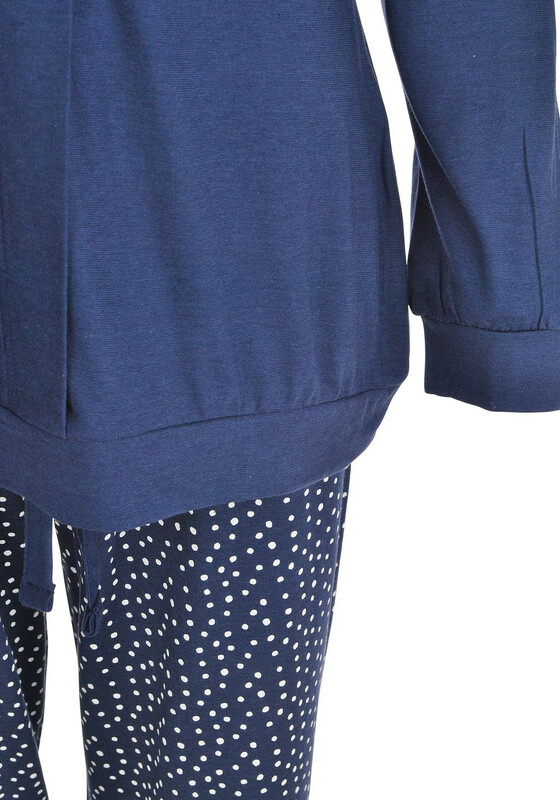 The long sleeve top is navy with a short slit at the neck. It is loose fitting with soft cuff sleeves. 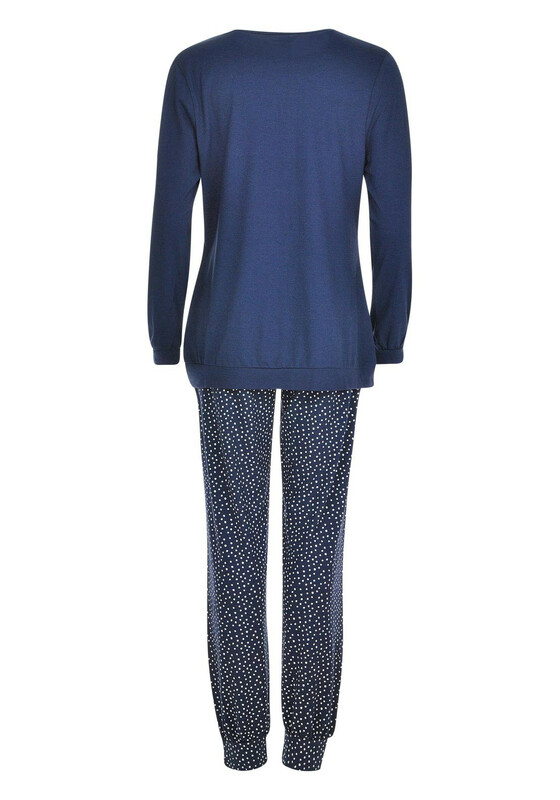 The bottoms are navy with funky white polka dots and a comfortable stretch waist. This set that will caress your skin and provide nothing but comfort.